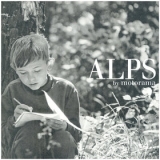 Alps is ranked as the best album by Motorama. Members who like this album also like: Halcyon Digest by Deerhunter, Loud City Song by Julia Holter and In Rainbows by Radiohead. Related links: top tracks by Motoramatop tracks of the 2010s, top tracks of 2010. A whimsy post-punk with rolling chords that never really builds up any traction. Fantastic debut album from a little known Russian band. So glad I found this band's music. 'Ship' is a highlight - great track!